Assume a push-up position with the dumbbells beneath your shoulders and your arms locked out. Keep your hips level, not with your glutes up or your back arched. Spread your feet a little wider than shoulder width. A wider base aids you in preventing rotation. As you progress, you can bring the feet closer, as long as you’re able to prevent your hips and spine from rotating. Perform a full push-up. Tuck your elbows to about 45 degrees, making a “V” shape with your torso and arms. After the push-up, row one dumbbell towards your hip while pushing the non-working dumbbell and your toes into the ground. This will serve as a cue to keep your toes from coming off the floor and will help you stabilise and prevent rotation. Row slow and prevent your hips from rotating. If you can’t control rotation, you’re using too much weight or going too fast. 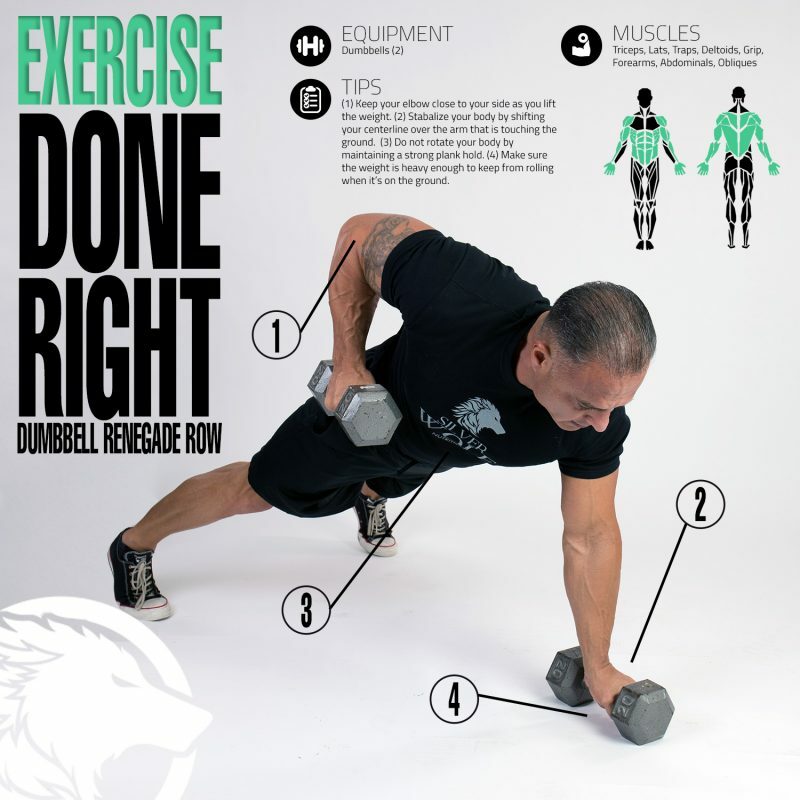 Return the dumbbell to the floor, repeat on the opposite side. That’s one complete rep.